Fans of Nightwish have no shortage of reasons to celebrate in 2018: the band recently embarked on a lengthy tour to celebrate their 20th anniversary and released a compilation called Decades: An Archive Of Song 1996-2015. In addition, their main composer Tuomas Holopainen also has an exciting new project called Auri, which just released their self-titled debut on March 23rd via Nuclear Blast. 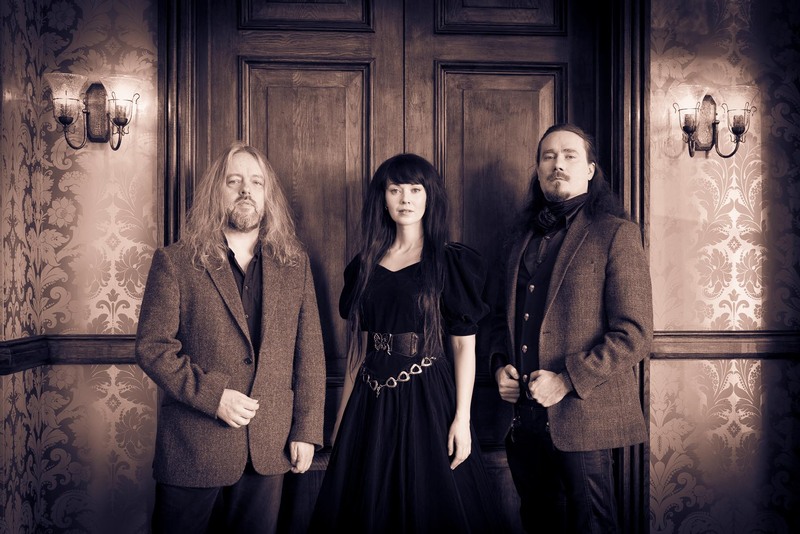 Tuomas is accompanied by guitarist, keyboardist and pipe player Troy Donockley (also of Nightwish) and vocalist and violinist Johanna Kurkela. After arguably reaching a creative peak with Nightwish‘s Endless Forms Most Beautiful, he decided he needed some breathing space before he could focus once again on a new album by his main band. 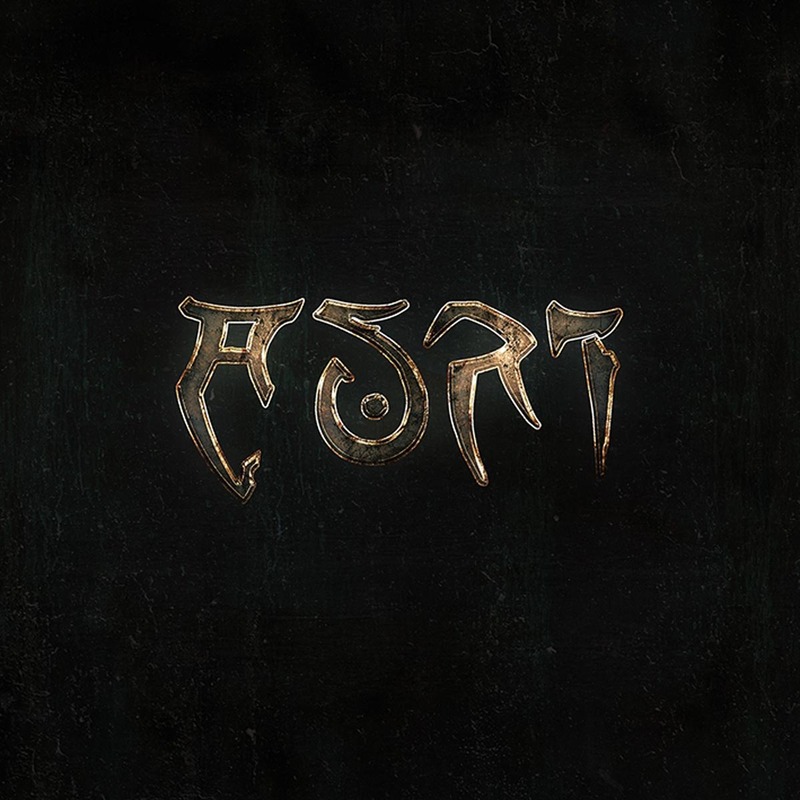 Auri‘s end result, therefore, is a significant departure from the well-known heaviness and symphonic urgency of Nightwish, in favour of delicate textures and ethereal sounds. Holopainen described Auri‘s style as “rabbit hole music and celestial metal”, and the first single “Night 13” gives a good indication of what the other 10 tracks in this release are about. Recorded at Peter Gabriel‘s Real World Studios, the whole album is influenced by folk and Celtic music, new age and movie soundtracks. The only identifiable common thread between Nightwish and Auri is Troy Donockley‘s eventual use of Uillean pipes. The band’s name is based on a female character from Patrick Rothfuss‘ The Kingkiller Chronicle, and admittedly, some of the content and the song lyrics are inspired by Rothfuss‘ books. The album kicks off with “The Space Between”, showcasing a tribal beat which evolves into electronic drums and looped keyboards. Johanna‘s delicate voice shines and dominates this track from beginning to end. “I Hope Your World Is Kind” comes next with a hypnotic string melody doubled up by the singer’s voice – here, the pastoral elements are perfectly mixed with the dramatic Celtic pace. “Skeleton Tree” starts with an enticing flute melody which is soon accompanied by strings and percussion. Halfway through the track a looped electronic scale is introduced, changing the mood, while multi-layered vocals create a mesmerizing effect. “Desert Flower” is a short track, almost an interlude, with an emotional duet between Troy and Johanna and a sad violin melody which wouldn’t seem out of place in an Enya album. “Night 13” comes up next, and sums up perfectly the mission statement of the album, with beautiful lyrics following the piano melody and acoustic guitars setting the tone. As the song picks up the pace, it’s not difficult to imagine it being used as a soundtrack to a Lord of the Rings action sequence. It is followed by “See” which is grandiloquent and yet sparse, an almost Kashmir-like track with Middle Eastern-tinged melodies. “The Name Of The Wind” is another quick track, very cinematic in its approach, with inventive use of orchestration and where the vocals create interesting melodies without actual lyrics. In contrast, “Aphrodite Rising” has a pop accent, and with the right arrangement it could easily be a radio hit. But hit-seekers these Finnish are not, and they prove this again with the next song, “Savant”, abundant with experimentations and unconventional paths. The album ends on a high note with “Underthing Solstice” and “Them Thar Chanterelles”. Clearly the MVP of this album is Johanna, with her voice being at the forefront in every track, but the abilities of Tuomas and Troy cannot be overlooked. When composing this type of music it’s easy to fall trap of “tripping for the sake of tripping”, but here not a single track is longer than it should be. Music of this nature runs the risk of being too one-dimensional, the melancholic melodies and transfigured mysticism if overused can turn the music monotone and hard to grasp. But this trio managed to put together a collection of songs that is evocative and concise in equal measures. Tuomas has announced that this is not just a one album affair project, and that they intend to carry on in parallel with Nightwish. With an album of such high caliber, it would be interesting to see how these songs see the light of day on a live setting, and which paths will the band take on a second album. 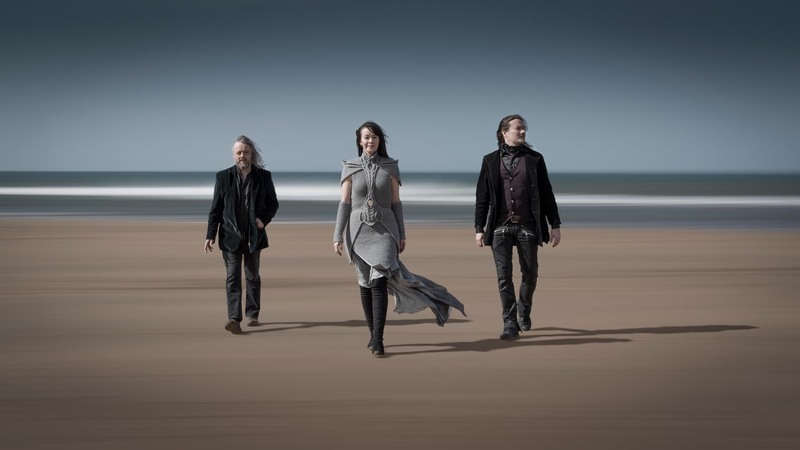 It’s not an effort strictly for Nightwish completists by any means – Auri can stand on its own, and it’s an absolute delight to see such established artists take a different turn at this stage in their careers. Auri travels unconventional paths on this album. The songwriting is inventive and cinematic, the musicianship is dense and evocative, and the songs take the listener on a pleasant and engaging journey, never lasting longer than they should. The production is crystal clear – sparse and dramatic in equal measures, warranting each instrument its place in the mix.